The head of the Irish Prison Service, Michael Donnellan, is to step down from his role at the end of November after seven years at the post. Mr Donnellan made the announcement that he would leave the role of director general today. He was re-appointed to the post last January for a second five-year term, having first taken up the position in December 2011. 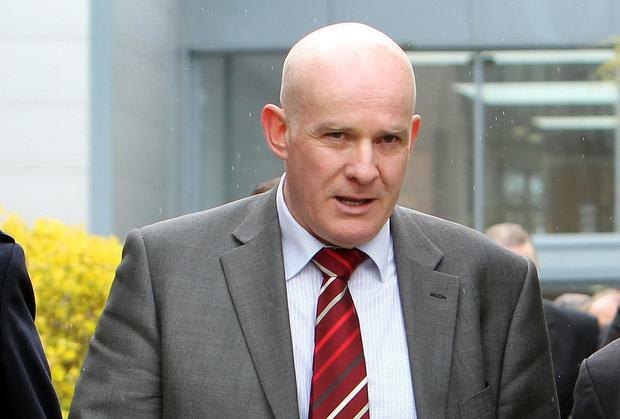 Mr Donnellan previously served as director of the Probation Service from 2005. Before that he served as Director of two children detention schools in Dublin. He also has previous experience in health and social services in the UK. Paying tribute to Mr Donnellan, Justice Minister Charlie Flanagan has said Mr Donnellan had “led the Irish Prison Service with energy, integrity and dedication for the last seven years”. “Michael’s personal leadership has contributed enormously to the improvement of our prison service and he will be missed by all his colleagues in the criminal justice system. I wish him all the best with what I’m sure will be an exciting next chapter for him,” he added. In October last year Mr Donnellan won the Head of Service Award at the International Corrections and Prisons Association (ICPA) conference in London. Participants from over 80 countries attended the 19th ICPA conference, hosted by the UK Prisons and Probation Service, the theme of which was “Innovation in Rehabilitation: Building Better Futures”. At the time, Minister Flanagan said that to be chosen for the award by a worldwide organisation reflected very well not just on Michael Donnellan himself but on the Irish Prison Service as a whole. “Michael has overseen the implementation of Government policy in a number of areas. This includes a more joined-up approach to the management of offenders as reflected in the first Joint Strategy on Offender Management agreed between my Department, An Garda Síochána, the Probation Service and the Irish Prison Service that has been operating since September 2016,” he said. “Michael has also led the IPS in the improvement of the infrastructure of the prison estate, which has led to the near abolition of ‘slopping out’. Other initiatives have led to a reduction in the number of prisoners on restricted regime and compliance with the UN “Mandela Rules” in relation to solitary confinement,” he added. “Michael has also been to the forefront in the introduction of rehabilitative initiatives in conjunction with the Probation Service, the aim of which is to protect the public and make Irish society safer,” he explained. While no reason was put forward for Mr Donnellan’s decision to leave the position of director general of the IPS it is understood that he will take on a new role in the near future.